“I need shade” said Carrie or “I’m going to get sunburned”. Behind us were kilometres of sand, and even more kilometres of sand lay ahead of us. It was almost noon and the sun was high in the sky. “A cold drink would be nice too!” she added. Unfortunately, a way out to shade and cold drinks seemed unlikely. On our right, an endless row of monolithic 70’ish looking hotels blocked our exit to the road. On our left, the cool-aid turquoise ocean was whipped up into frothy surf by the wind. 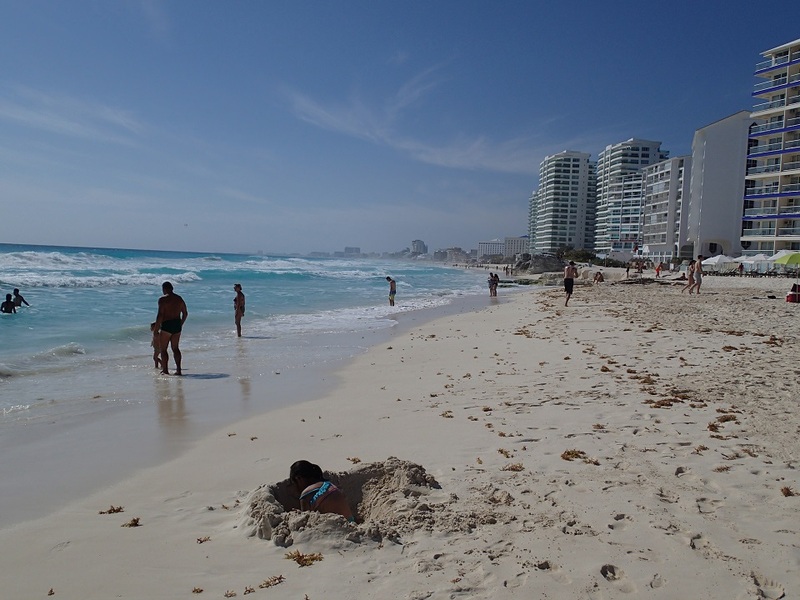 We appeared to be “stuck” in Cancun’s Zona Hotelera, the L-shaped land spit also called Isla Cancún where all the sea-facing properties are located. 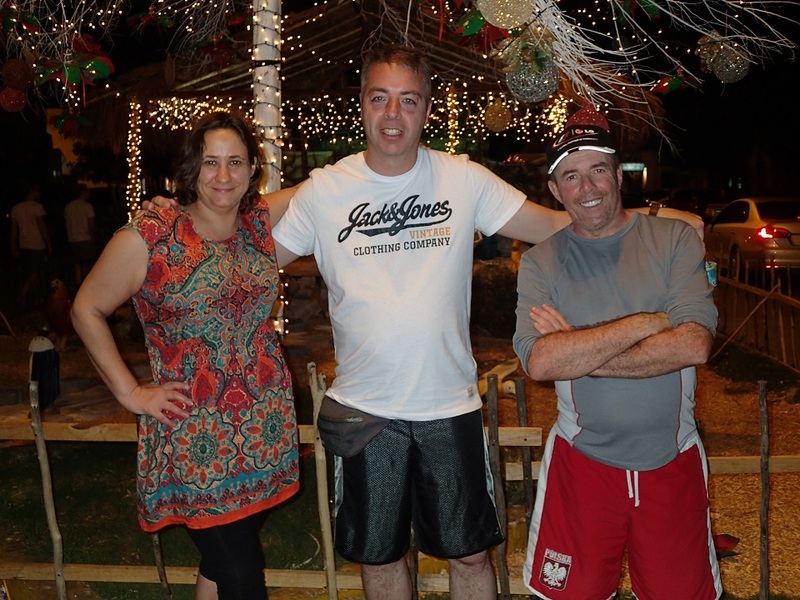 I had met Carrie and her friend Joe while waiting for the bus to take us from the airport into town last Monday night. 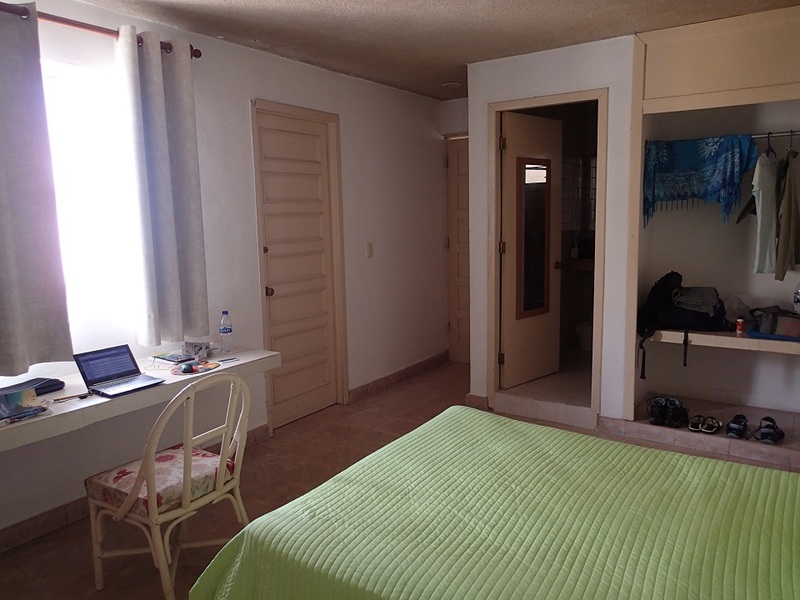 Like me, they were on a budget and staying in Cancun town instead of in one of the expensive all-inclusive beach hotels. Not only that, but I recognized Carrie as the woman who was sitting in the aisle seat of my row on the flight over. She and Joe were Canadians too. On Tuesday morning, the three of us, plus Bruce, another Canadian from their hostel, all got on the public bus headed for the beach. Joe had been in town for a few days already and knew where to get off. 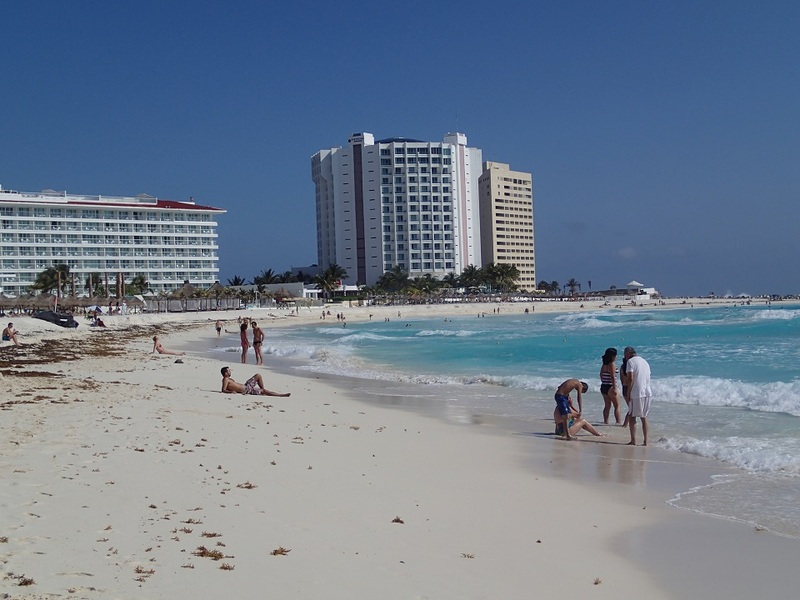 Although all the beaches are public in Mexico, the wall to wall hotels in Cancún make it hard to find a passage to the sand. There are only a few of these openings along the 25-kilometre long spit. So this is how, after walking for a while, we got to be stuck on a shadeless beach without a way out. The hotels won’t let you go through their properties, so if you’re one of the commoners staying in town, you’re on your own! 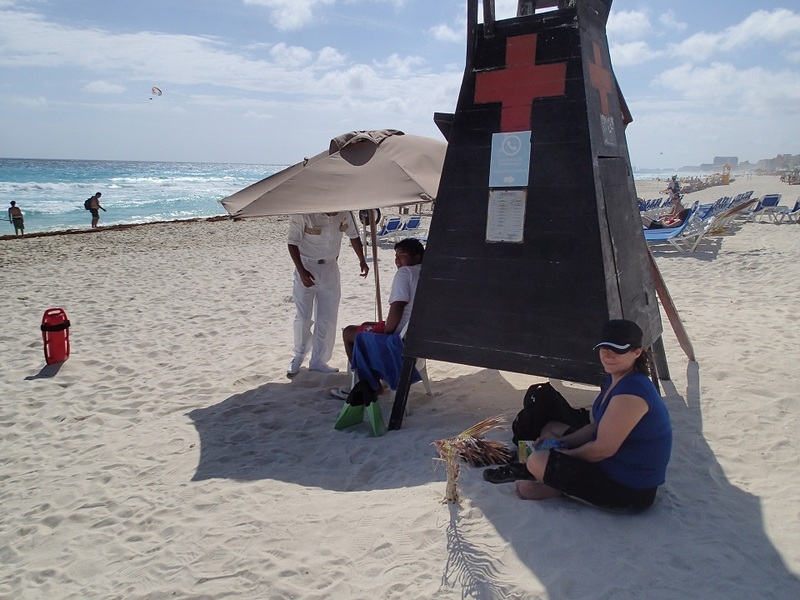 Fortunately, we came across a small wooden teepee bearing a red-cross where Carrie found a spot of shade. The attendants of the red-cross station were even able to tell us how to “escape” by pointing to a cluster of buildings about a kilometre or so in the direction we had come from. While Carrie cooled down, I went for a dip in the inviting blue water. Unfortunately the waves were a little too strong for me, and after being slapped around and almost swallowing a cup of salty water, I called it a day. 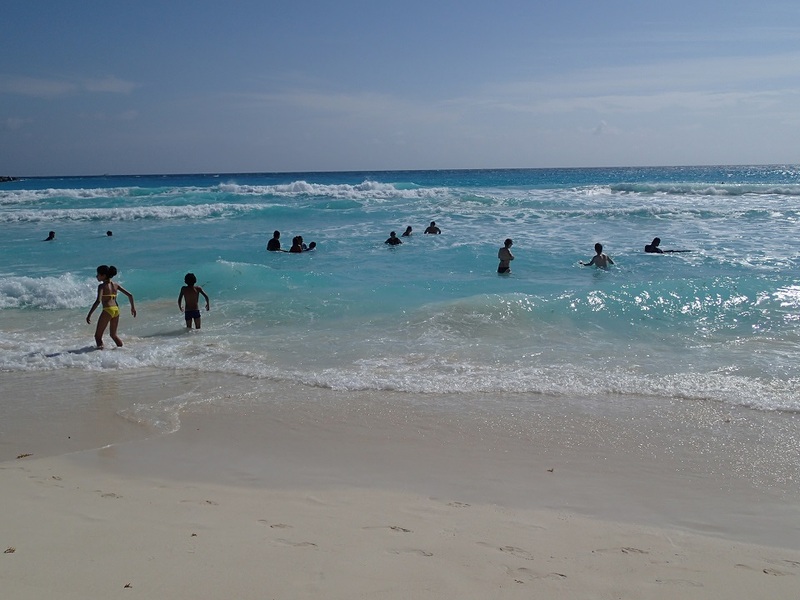 Hopefully, my next stop of Isla Mujeres will provide an easier beach experience. Once back on the main road we had lunch (a little pricey at 130 pesos, but this is the Zona Hotelera after all) then took the bus back to our respective accommodations to shower and have a siesta. 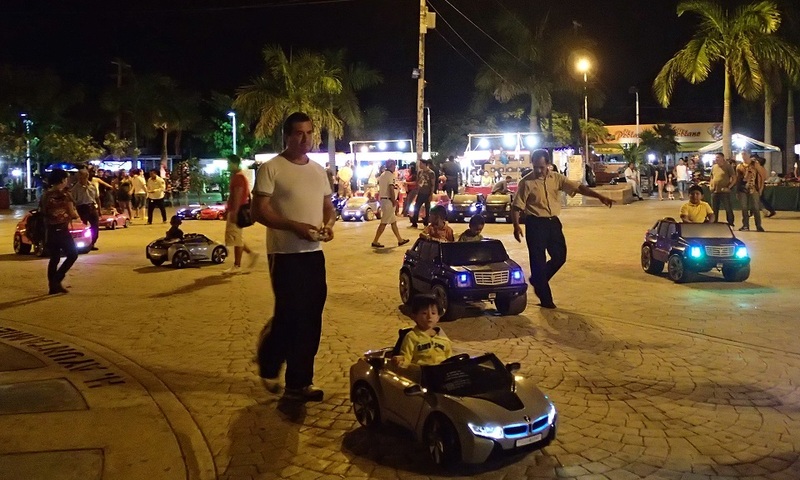 We all reconvened at 7:30 pm and headed to the main town square, Parque de las Palapas where food stalls had been set up along with rides and other amusements for kids. The place felt like a fair. January 6th, Kings Day, is when Mexican children receive their gifts (instead of Christmas) so this might have warranted the special entertainment in the park. 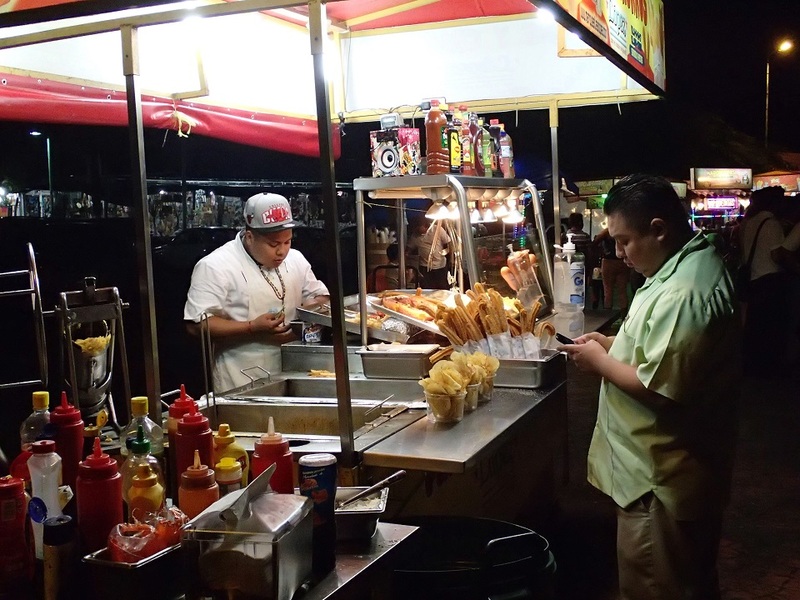 But even on normal evenings, Mexican parks come to life at night, while remaining sedate during the day, the exact opposite of parks in North America. 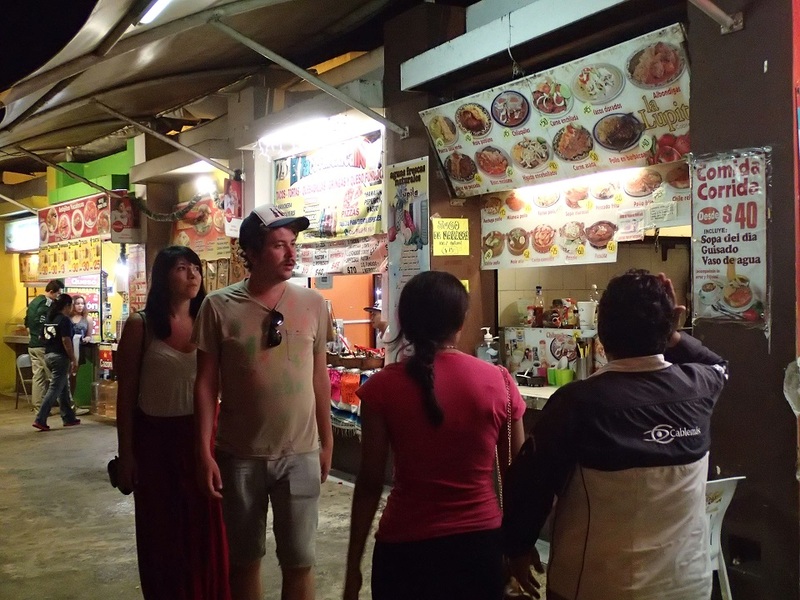 We all had sopes from one of the food stands for 30 pesos. Sopes are thick rounds of corn dough with toppings such as refried beans, crumbled cheese, nopales (cactus leaves), lettuce, and cream. I ended up nearby at an Italian bakery. My request for a cappuccino was met with a nod, and since I was hot, I made it an iced one (same price of 30 pesos, or a shade less than $3). When I heard the blender and the sound of crushing ice, a doubt came into my mind, so I asked the server if the coffee was made with purified water. She smiled and said “of course”, then continued “Actually it’s made from coffee, milk, and ice. There is no water”. Ugh? After lingering on the café terrace for a while, I reluctantly got up and went to run some errands. The sun was really hot so I was glad to be wearing my new Tilley hat. 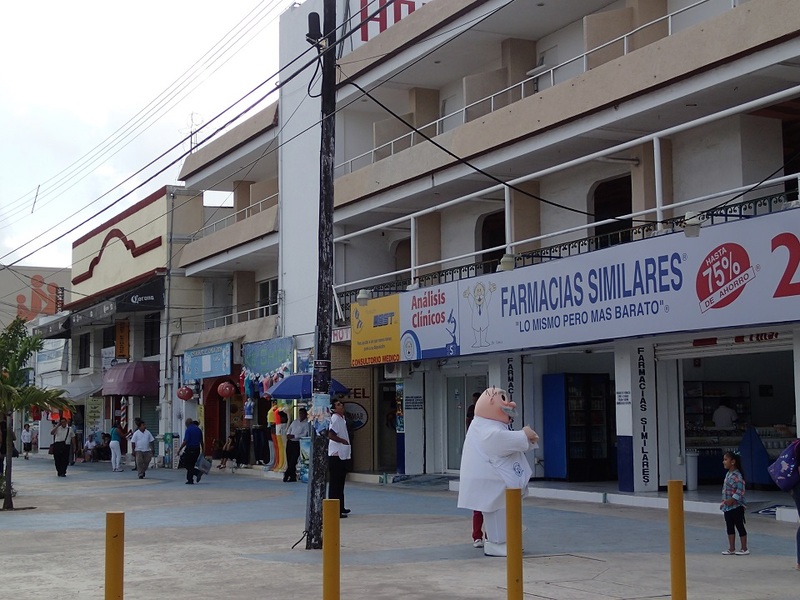 There were two things I was hoping to do: get a Mexican SIM card for my phone, and ask at the Tourist Office about getting to Isla Mujeres. On the way, I stopped to “visit” a large grocery store (supermercado) as much to see what kind of stuff was on the shelves (fruits and vegetables are usually the most interesting) as to cool down in the air conditioning! 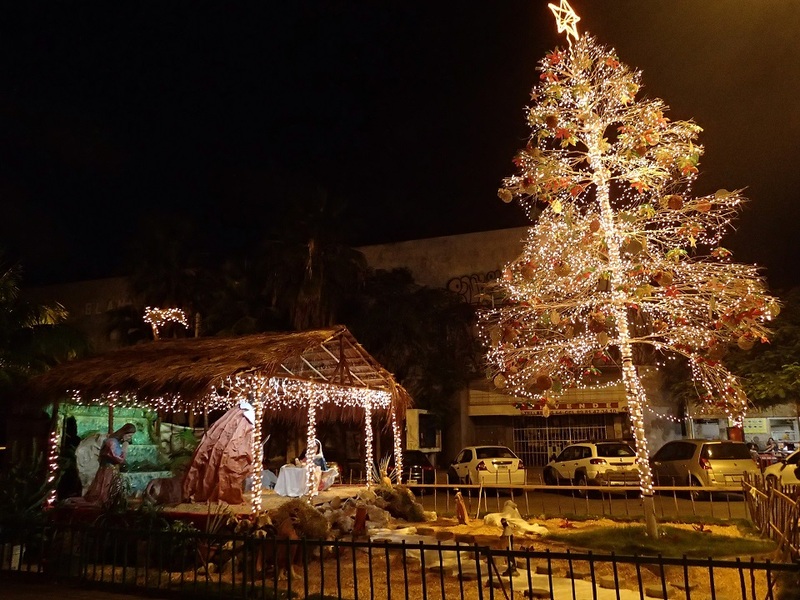 When I came out, I spotted a Telcel store across the street. I had been keeping my eyes peeled for one of those, and was happy to discover that not only they sold SIM cards, but they were cheaper than I expected (about $14). And for once that I had my passport with me, nobody asked to see it! I made it to the Tourist Office around the corner, which was where it was supposed to be, was open, and had a competent person inside. Trust me, you can’t rely on any of these things in a new city. I had accomplished my goals for the day, and all before lunch! I didn’t feel like going back to the beach, so I spent the afternoon using the internet, having lunch.. and napping. I think I’m all caught up with my sleep now! For dinner I headed back to the Parque de las Palapas and had a vegetable quesadilla for $2. It was less animated than yesterday, but still had the food booths, kiddie cars, and live music. 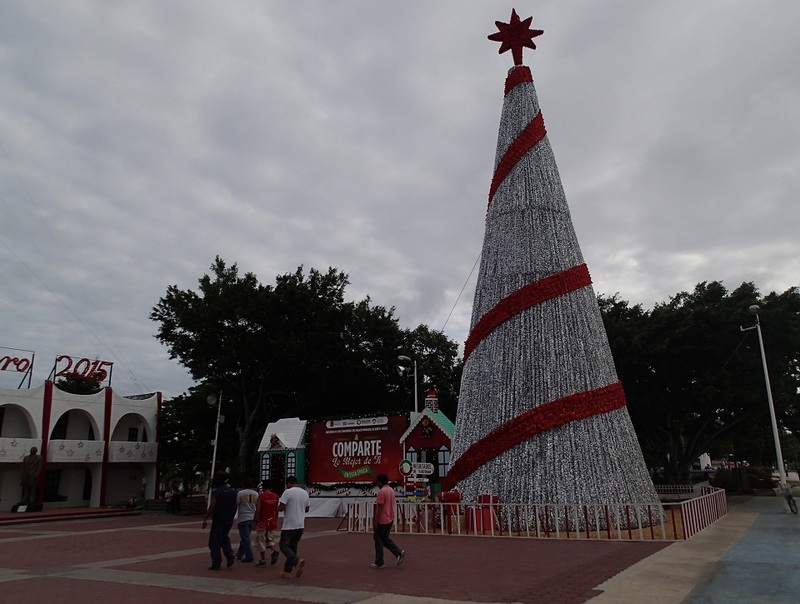 Cancún is a modern city that cropped up in the 1970’s to service the tourist zone, and is now the largest in the state on Quintana Roo. 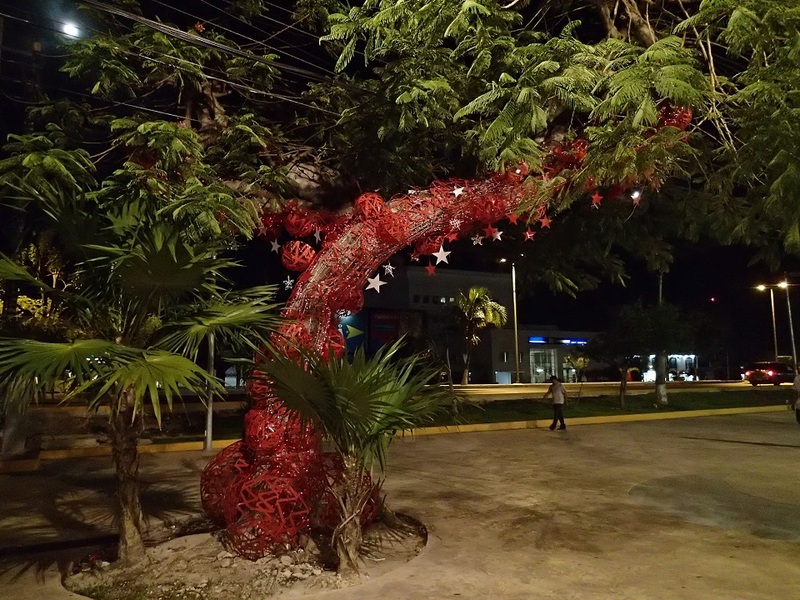 It’s rather drab and non-descript to tell you the truth, with nothing much of interest since all the attractions are located in the Zona Hotelera. I’d say that unless you’re staying in one of the beach hotels (packages including flights are usually cheaper) there isn’t much point in spending time in Cancún. It’s a convenient and cheap airport to fly into (and has direct flights from Canada) but other places nearby have more accessible beaches. 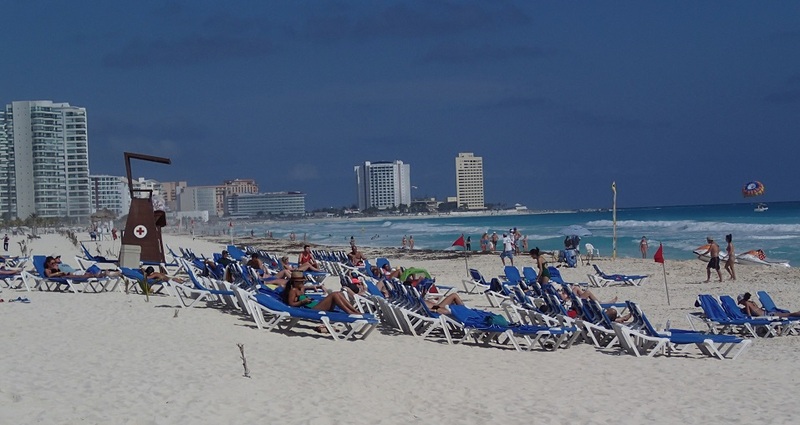 You can take a bus directly from Cancún airport to Playa del Carmen for example. Stay tuned as I explore some of those other beaches in the coming days!